With the launch of its web-based mobile app, São Paulo’s bus system allows late-night bus users to receive real-time information about the city’s new 24-hour lines. Photo by Marlise Rodrigues/Flickr. 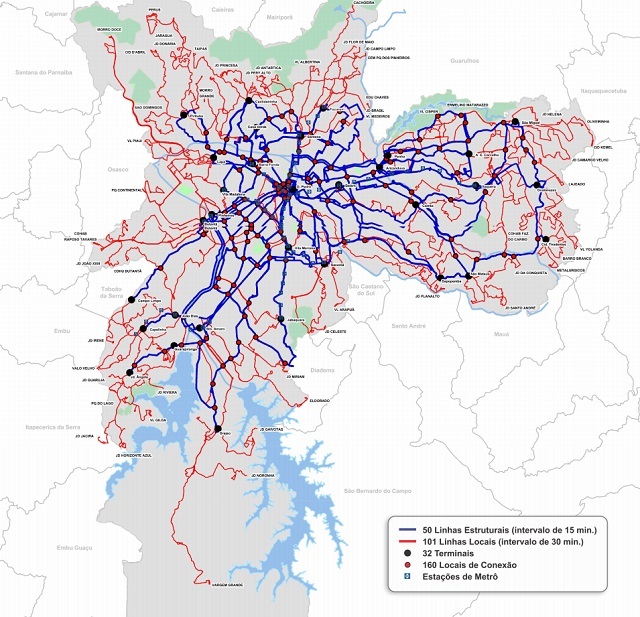 For São Paulo, the largest city in the southern hemisphere, making sure that residents have access to reliable transport options at all hours of the day is a particularly acute issue given the size and population of the city. Starting just last week, public transport finally began serving those who keep the city alive at night, when many regular commuters are asleep. The Rede da Madrugada (“Dawn Line”) now allows workers with irregular shifts, residents going to or home from hospitals, police officers, and partygoers to get around their city with as much ease as they would during the day. São Paulo’s new all-hours bus lines expand connectivity to all parts of the city. Map by Prefeitura de São Paulo. The nighttime bus routes service 32 municipal and metropolitan terminals, and the operation stays the same as during the regular daytime schedule: buying a single pass one way gives users access to all integrated modes within a three-hour time span. São Paulo currently has 11 million residents, and 19 million in the greater metropolitan region. The new change to offer bus service 24 hours a day expands residents’ access to services, jobs, and entertainment, and makes traveling during nighttime hours safer. This is especially critical for São Paulo, given that 68 percent of the city’s 23.5 million daily trips are by made bus. In the past, safety concerns have deterred many potential users of late night public transport. When riders lack information about bus arrival and wait times, it’s difficult to make the case for late night travel with public transport. 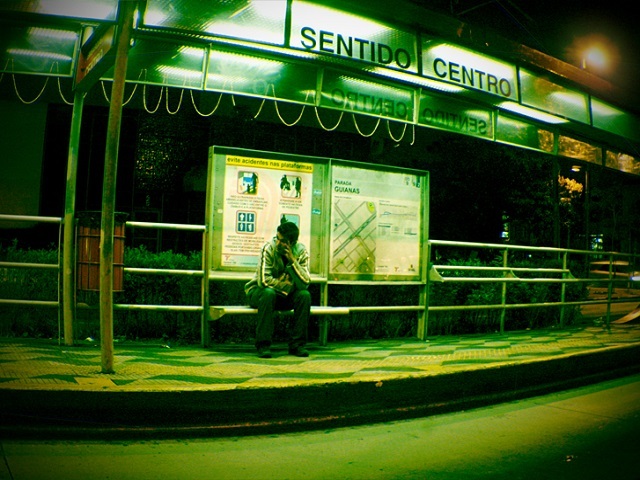 Therefore, the city’s buses have adopted the Coletivo da Madrugada (“Dawn Collective”) application, a GPS-based tool that provides real-time information on bus locations, as well as station and route maps. All of this is available online for mobile devices—facilitating faster, more convenient travel experiences for the average rider. The Dawn Line is also likely have a positive impact on road safety by reducing the number of traffic collisions in the city. The Pan American Health Organization (PAHO) points out that Brazil ranks fifth in the Americas for its rate of traffic deaths related to alcohol. Nationally, 12.2 percent of all traffic deaths are related to alcohol consumption, while in São Paulo that number stands at 13 percent. The recent move to introduce nighttime buses provides a necessary alternative to driving late at night for those that cannot afford taxis. In this way São Paulo’s Dawn Line helps to ensure road safety at all hours of all days, and to provide equitable mobility options to a previously underserved segment of the population. This article was originally published in Portuguse at TheCityFix Brasil.